The world of telephones has been growing since its first appearance in 1992 joining PDA and mobile phone; that is to say, in its beginnings it was not called smart phone. The improvements in both design and productivity to date have progressed being efficient in many aspects of users’ lives. However, the demand for a much more effective and more modern handset continues to grow. People ask for a device that will provide them with conventional information in real time, help them with their daily activities and provide them with security and tranquility every moment of the day. 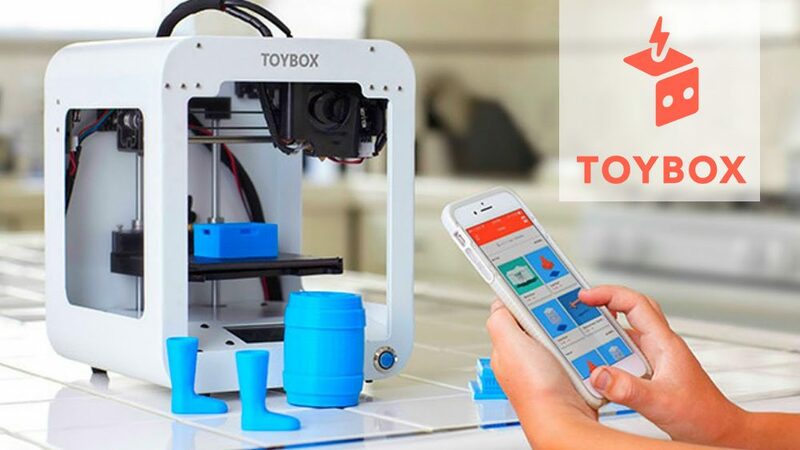 For this reason large electronics and technology companies focus on meeting the needs of their users by creating, improving and producing new devices that satisfy people. The improvement of smartphones is a great example that demonstrates the consideration of these companies in addition to increasing their conversions, of course. Despite this, we note that our demands are heard every year, and one of the companies that has importance of that is Apple Inc., an American multinational technology company, who are lately getting the most attention thanks to their latest devices which are significantly the beginning of a new generation in the technology of their smartphones. 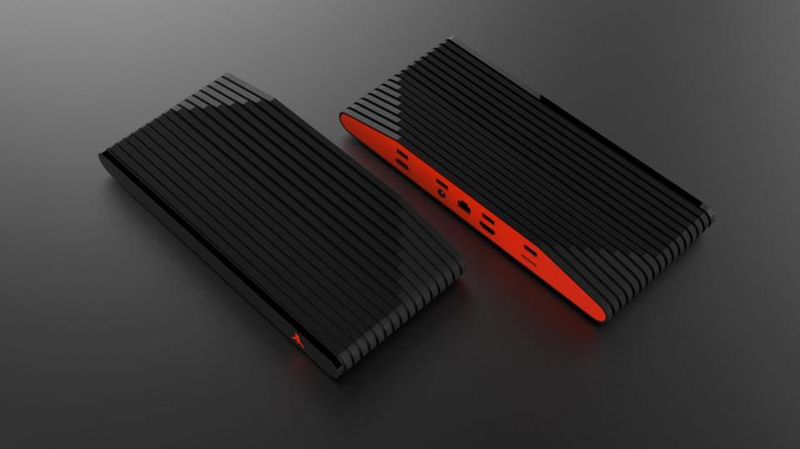 One of these devices has been one of the most expected by users because of the rumors about the specifications that would bring both their hardware and software. 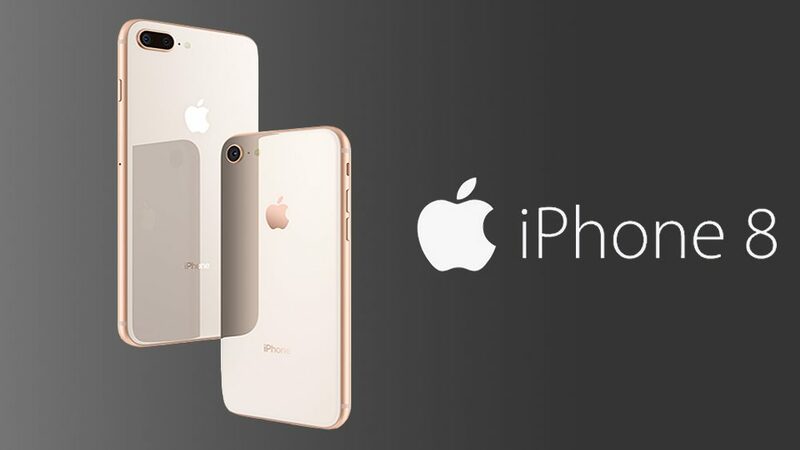 This smartphone has been called by its creators as iPhone 8, as expected since it was mentioned that would be the succession of the iPhone 7, but what would differentiate it, generalizing, would be the great comparison of productivity between these two smartphones. 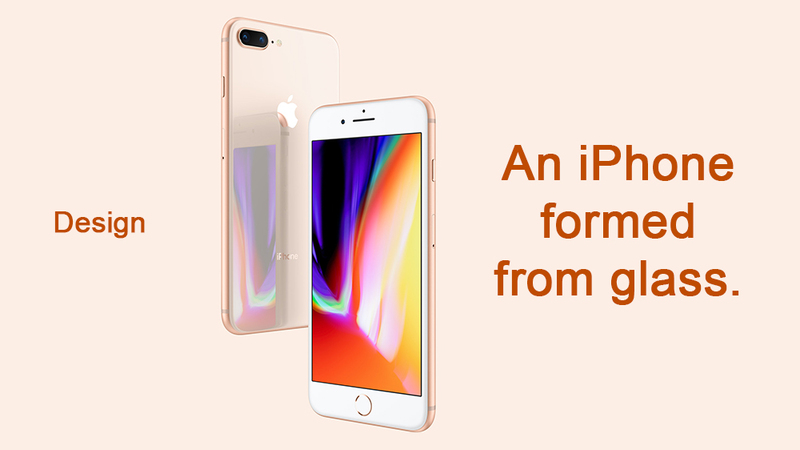 The company notes that the iPhone 8 features a new glass design, the world’s most popular camera and even enhanced, the smartest and most powerful smartphone chip. In addition, the load is wireless and effortless, and augmented reality experiences never before possible. They define the iPhone 8 as a new generation of iPhone. It has an all-glass design with the most durable glass ever on a smartphone, front and back. A combination of colors, aerospace grade aluminum band. New finishes in gray, silver and gold. 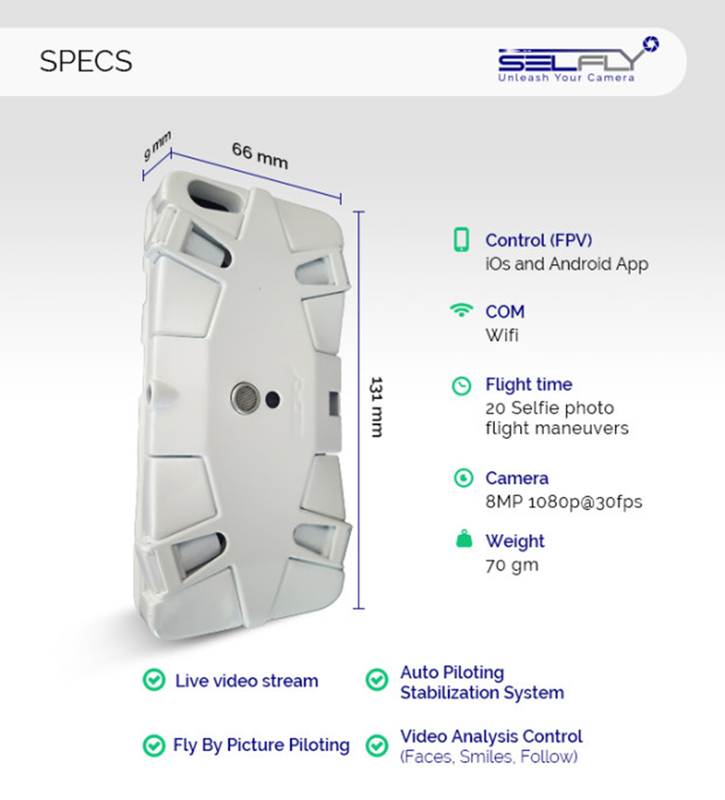 It is precisely designed to withstand water and dust. The back of the glass allows for easy charging without the need to be connected to cables and comes with new 4.7 inch and 5.5 inch HD Retina displays. 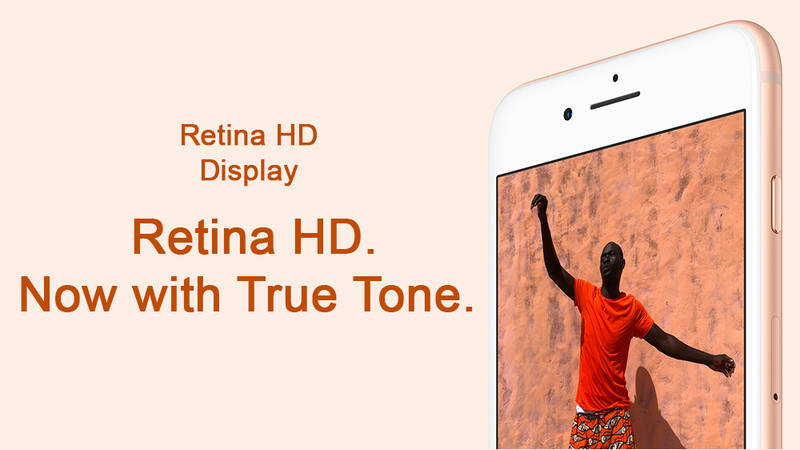 Your Retina HD display is much more beautiful than ever. It has a wide range of colors and 3D Touch thanks to its technology True Tone which automatically adjusts the white balance to match the light that surrounds us for a better visual experience in all types of environments. It has a wide range of colors and the best color accuracy in the industry making everything on the screen look brighter and vibrant. Dual-domain pixels provide a great view of the screen from almost any angle. The iPhone 8 features a more advanced 12MP camera, a larger and faster sensor, a new color filter, deeper pixels and optical image stabilization for photos and videos. The Portrait mode on the iPhone 8 Plus gets even better for clearer close-ups and more blurred backgrounds naturally. Dual cameras and new facial landmarking create dramatic studio lighting effects in portrait mode. The wide-angle and telephoto lenses on the iPhone 8 Plus allow for optical zoom as well as a digital zoom of up to 10x for photos and 6x for videos. 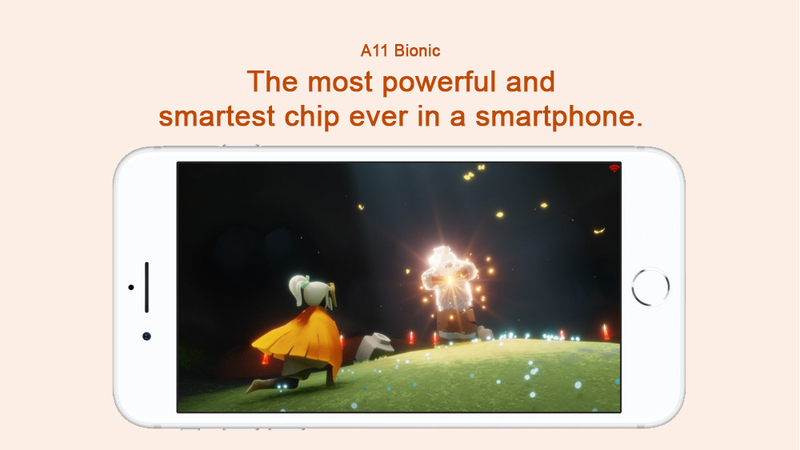 A11 Bionic is the most powerful and smart chip of a smartphone since it has four efficiency cores that are up to 70% faster than the A10 Fusion chip, and two performance cores that are up to 25% faster. A second-generation performance controller provides more power when you need it while delivering the same large battery life. The new three-core GPU designed by Apple is up to 30% faster than A10 Fusion. A11 Bionic powers extraordinary augmented reality applications and games that will change the way we see the world. 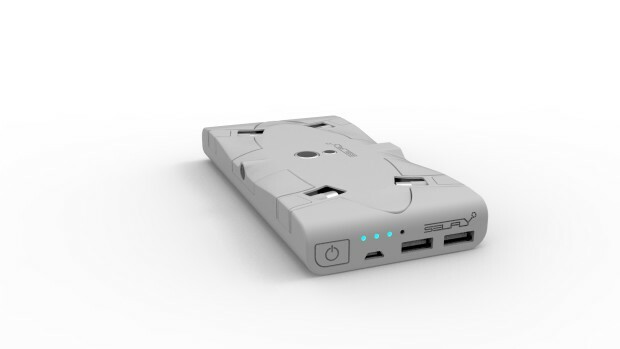 Charges wirelessly; that is, without the need for a charging cable. The iPhone 8 is really designed for the future of wireless technology. 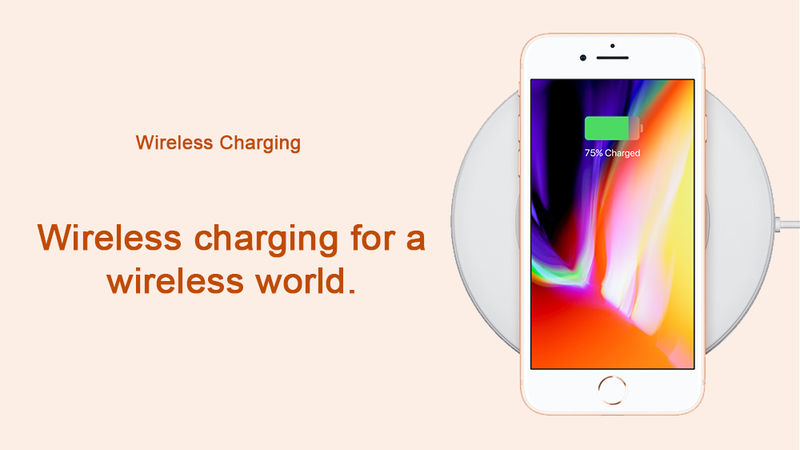 Charging with wireless charging stations and mats in hotels, cafes and airports around the world. iOS is the world’s most advanced, intuitive and secure mobile operating system. 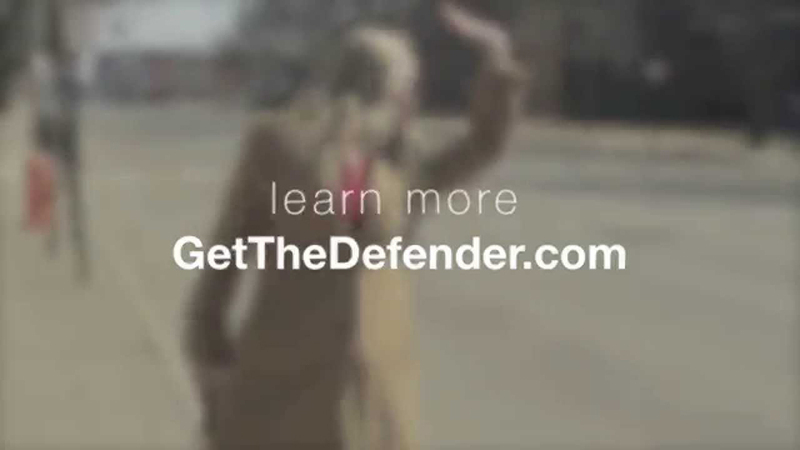 It is designed to help us get the most out of the iPhone. 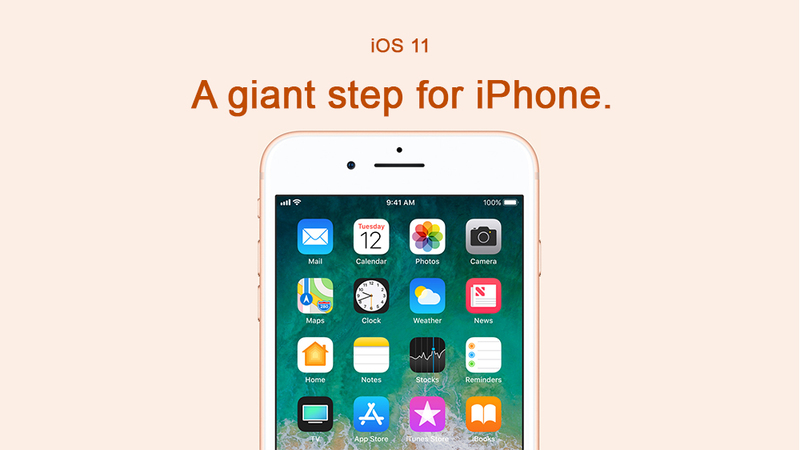 The new iOS 11 allows us to access applications in messages with fewer taps, create new live effects of photos, and discover new music with friends in Apple Music. 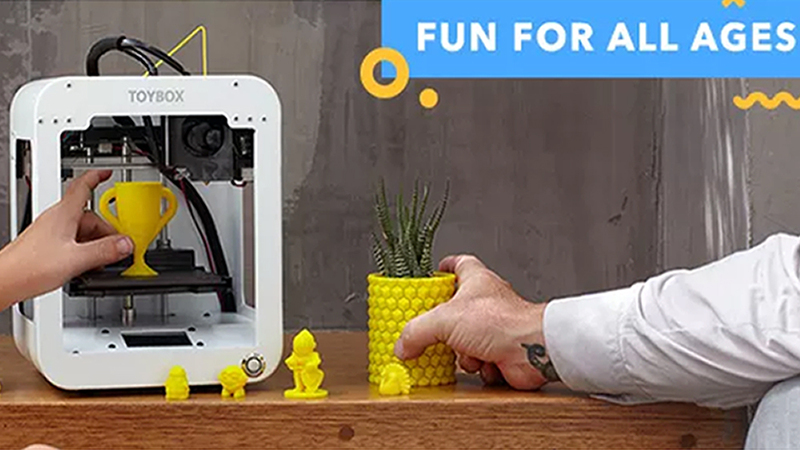 In addition, it allows us to enjoy AR games and applications as it is the world’s largest platform for augmented reality. Every day we witness the evolution of the technological world through new discoveries or creations that aim to improve the quality of life of people, provide security and ensure our integrity, facilitate us performing different activities, help us solve our problems more common, among others. However, the advancement of technology also demands changes in many aspects of collective life; that is, changes in the political, economic and social sphere of a group of people, in other words, a society, country, continent, etc. But in this article we will focus on a more specific point. The means of transport are very important in our daily life as they help us move from one place to another. We already know what our means of transport are so we do not need to mention them. Currently, buses are the most requested terrestrial means of transport for long distance travel. Therefore, it is no exception for the technology to pay attention. The big automotive companies have improved their vehicles over time to adapt to the new generations and have revolutionized their own market with extravagant innovations. One such innovation is electric vehicles; ie vehicles that replace fuel for electricity. Although it is this innovation is very environmentally friendly, it is limited with respect to the distance and time in which an electric vehicle can travel. But returning to the subject of this article, cities and countries are about to put bans on internal combustion engines in a couple of decades, that’s why electric bus technology is advancing and the company that owns the first place for its advances in this environment is Proterra. On Tuesday, the California-based company said its E2 Max Catalyst reached 1,102.2 miles on a single charge, a world record for the longest distance traveled by an electric vehicle without recharging. The company Navistar confirms the results obtained by Proterra since the demonstration was realized in its test grounds. 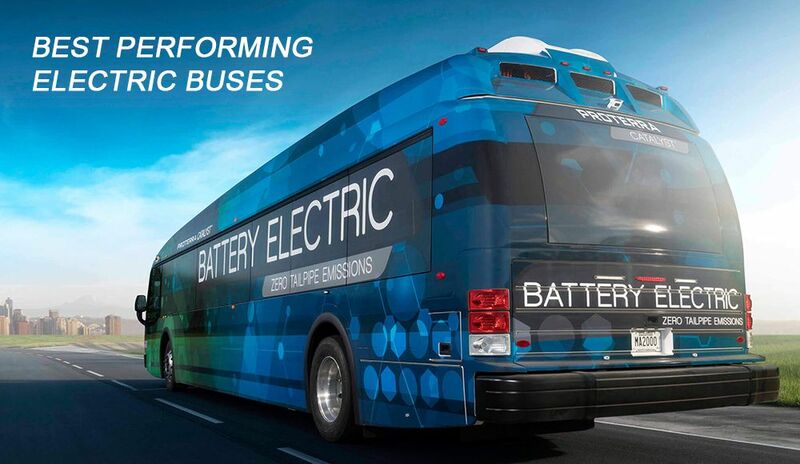 Proterra is advancing rapidly in the emerging category of electric battery transit. The company notes that they have built the Catalyst from the ground exclusively as an EV, with a durable body that extends for life and also that they have developed an advanced and modular battery storage and have tied it to a proven electric transmission system and state-of-the-art power supply systems. Proterra’s high-performance transmission system maximizes power and efficiency to meet the challenges of continuous revenue service. It consists of only two moving parts, a 220kW peak-mounted permanent magnet motor and 2-speed auto-shift EV transmission, and does not require oil or other liquids. Catalytic vehicles are also equipped with regenerative braking. When the driver takes a foot off the accelerator, the vehicle slows down and the engine runs in reverse, directing the power to the batteries to charge. Brake maintenance is reduced because the drivers drive the brake pedal much less, which significantly prolongs the life of the braking system parts. With conventional bus drum brakes, parts must be replaced every 20,000 miles. With regenerative braking, the parts can potentially last 100,000 miles or more, further reducing maintenance costs over the life of the vehicle. At Proterra, “Safety First” is more than just a slogan. Proterra vehicles are designed with passenger safety as their main concern. 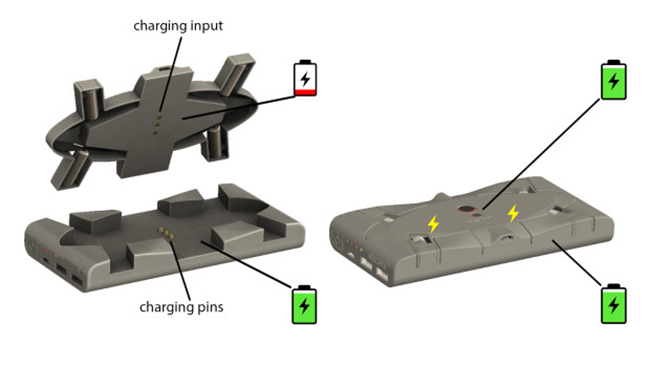 For example, battery packs are in the safest possible location outside the passenger compartment. The batteries are liquid at controlled temperature and incorporate active and passive safety systems, with robust and reinforced batteries that are separated from the passengers by a sturdy structural barrier. The Catalyst bus body is constructed of carbon fiber reinforced impact-absorbing composite materials and is equipped with Mobileye’s collision avoidance technology, providing collision avoidance and mitigation by alerting drivers to potential incidents before happen. An advanced electric propeller offers optimum energy efficiency at a lower operating cost than fossil fuel combustion engines. And the carbon-reinforced composite body resists impact and corrosion, while providing a significantly longer life than conventional transit vehicles. 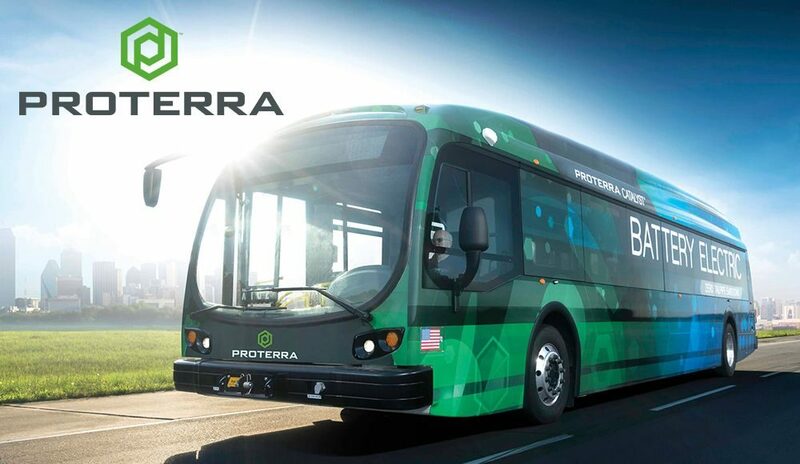 The Proterra Catalyst zero emission and electric battery bus is built on a platform designed to provide flexibility and durability. The highly efficient batteries offer reliable power with modularity to fit a number of urban and regional routes. Many cities face serious urban transport problems due to the increasing number of vehicles in circulation. As cities have become the main centers of economic activity, the population tends to travel its streets requiring transportation not only for ourselves but also for the products we consume or produce. Unfortunately, transport can generate diverse socioeconomic and environmental impacts such as vehicular congestion, air pollution, noise and disturbance of tranquility, increased risk of traffic accidents, among many other very disgusting effects. The flow of vehicles produced at a particular time and place is the result of a series of individual decisions that we take the users of the road network when we decide how and when to travel the best route to reach our destination in addition to our decisions are based on criteria such as cost, time, safety and comfort. However, it is not easy to determine the shortest route in time in a network since the vehicular flow is constantly changing daily. That is why we have created a device that works as a secondary interface for our smartphone that will help us while we drive. The creators of this gadget christened it with the name Chris pointing out that “Chris” is gender neutral and can be connoted both for men and women. Consciously does not serve stereotypes, but neither age nor gender. Chris is universal. 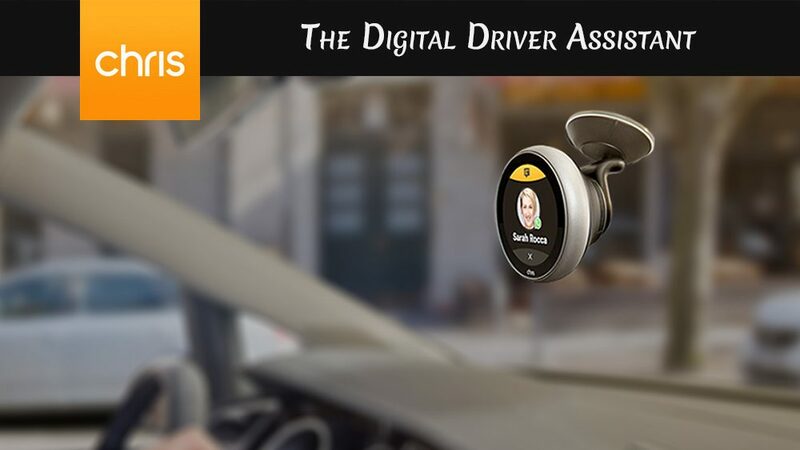 Chris is the world’s first digital driver assistant with which we can stay connected without getting in the way while driving. It promises to be our digital co-driver interacting with us actively if there are new messages or navigation updates. Also, it makes us feel like we’re driving with a friend since Chris is so much fun. This device also features a remarkably intuitive gesture control, something that we will only find in the latest high-end cars. Simply slide your finger left and right or up and down to navigate long lists or control the volume of our music without touching Chris or our smartphone. Just like a GPS, Chris works with any car, no matter the age or model. Thanks to its suction cup holder with magnetic connection, Chris is installed and ready to use in less than 3 minutes. 1. Download and install the application for free. 2. Connect Chris to your phone via Bluetooth. 3. Connect Chris to car audio via Bluetooth or FM. At launch Chris supports the most popular applications. Chris is built as an open platform, meaning that developers can create more and more applications and integrations over time. Chris talks to us when we receive a new message and reads the text aloud if we want to hear it. We just have to tell Chris what we want to respond to, or we can use one of the quick answers to save time. And the best thing is that it is not necessary to take your hands off the wheel or distract us to see the notifications. 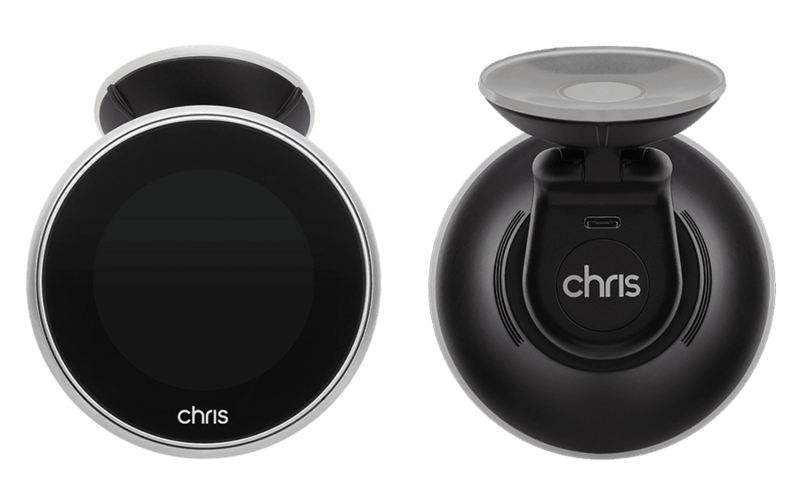 Chris is an intelligent personal navigation device that will always keep us on the right track. With the GPS feature we can drive and get our destination relaxed, and thanks to real-time traffic information, Chris always keeps us at the forefront of traffic. It allows us to enjoy voice controlled navigation. 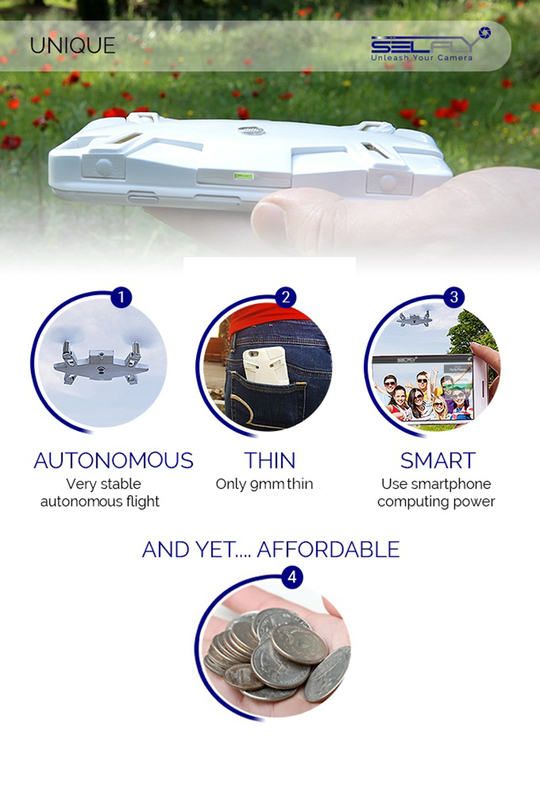 And the best thing is that this device has global maps for life, free updates and also works offline, that is, when our smartphone has no Internet connection. Chris allows us to listen to music online from Spotify, Apple Music, Google Music or offline from our cell phone. It gives us the possibility to scroll through playlists, play, pause and change songs by voice and gestures. And the best thing is that the device connects via Bluetooth or FM. Chris is a unique hands-free kit for the car with voice control and gesture. The high-end microphones in the device designed with an aluminum frame guarantee the best audio quality when we are on a call or when giving a voice command. It also shows us the contacts of our cell phone and recent calls. Its timeless design and technology are the combination of an aluminum housing with display, microphones and sensors. The installation for the first time is simple: we place the suction mount in the windshield, we fit in Chris and we follow the configuration instructions. 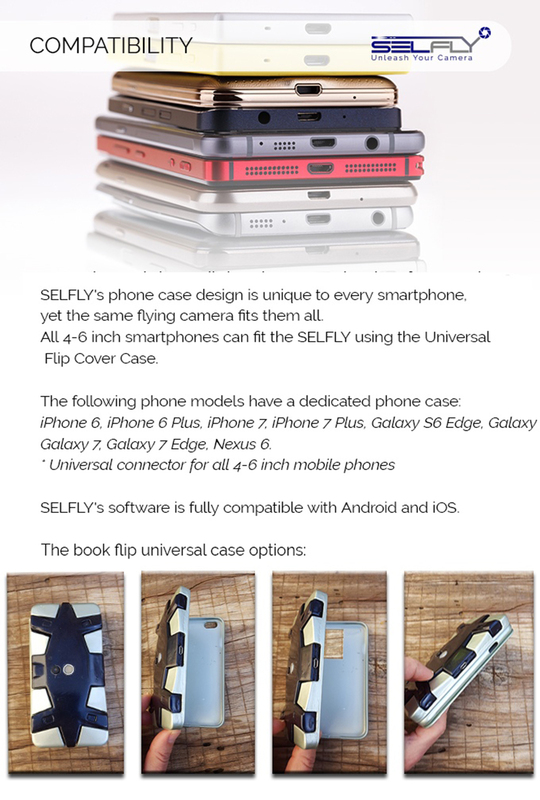 In addition, it is compatible with iOS and Android. One detail that may disgust somehow of this gadget is that it should always be connected to the power system of our vehicle. 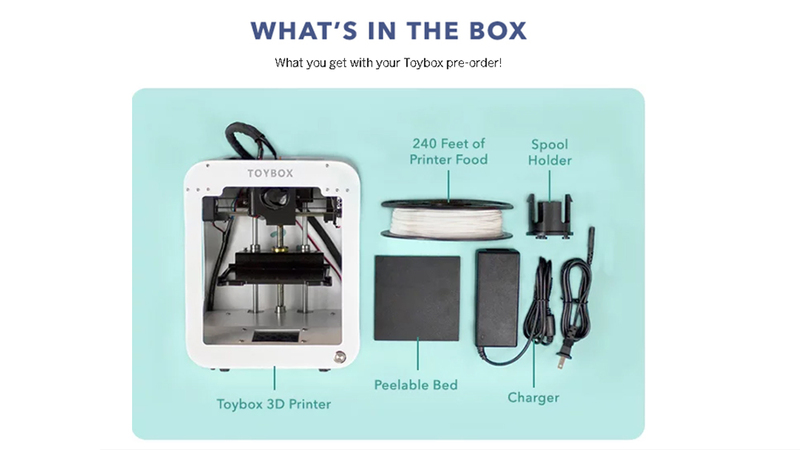 The comforting thing is its 12V charger that plugs into the suction cup mount, and the extra-long power cord is hidden in the small slots inside the vehicle. It has a built-in battery that lasts approximately one hour in full use, being useful in interruptions when we turn off the engine. Natural understanding and language reproduction is key to a digital co-pilot with a voice interface. For this reason, Chris speaks and understands the English and German languages at the moment as their creators point out that more languages will be added after the release to the market in early 2018. 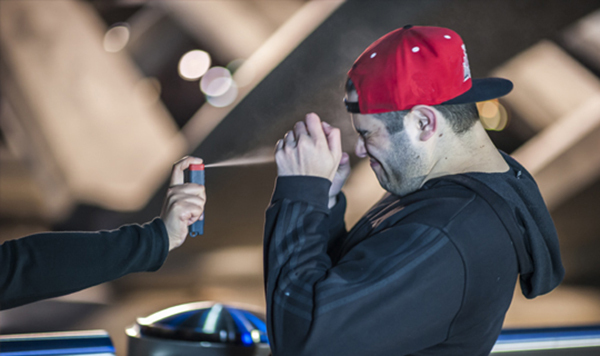 Designed for use in the car Chris meets all regulatory requirements and relevant certifications in North America and Western Europe. It is designed as a real assistant, combining information and understanding of circumstances. Chris will help us focus on what is really important. The environment of photographs, selfies, images, videos, among other means of digital graphic representation continues having a great apogee and functionality in the daily life of each one of us. In many respects, multimedia is very important to capture the attention of many people, to keep a special moment, to capture a beautiful landscape, to film an amazing fact, among many other ideas. However, all these multimedia do not have the same utility or importance in many of us; that is, some like to take selfies, others capture photography in a professional way, and some of us are more attentive to shooting funny or special moments. There are many ways in which we can use multimedia and that will depend on our tastes, the occasions, and even the need. In this opportunity we will highlight the utility and importance of videos as they are the most complete multimedia that we can find. The videos contain continuous information, but we do not go into definitions since we all know what the videos are and what they are for. The point of this article is to present you a way to capture panoramic 360 ° videos. 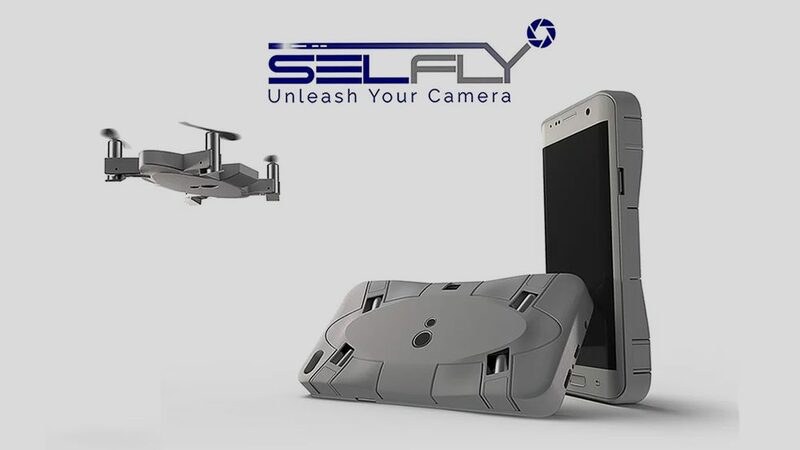 This incredible idea is realized with the help of a gadget, which at the moment only supports iPhone 4, and was made by Michael Rondinelli. 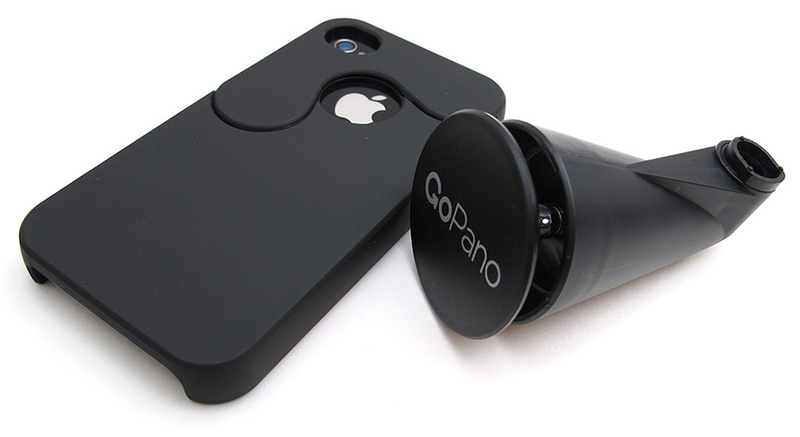 This amazing gadget has been named as GoPano Micro which is a lens for 360 ° panoramic videos. It’s easy to place on the iPhone 4, and we can use it to record the action of our favorite sport, a meeting, summer outing, among many other ideas. The GoPano micro will help us to record everything around us at the same time. We can go back to the video recording and choose to see any perspective, any angle at any point in the video’s time. The GoPano application allows us to upload our videos to our device web platform and share it with our friends. The GoPano lens records everything at the same time and not just the scene on the screen, it also allows us to scroll and zoom in / out anywhere in the recorded video. 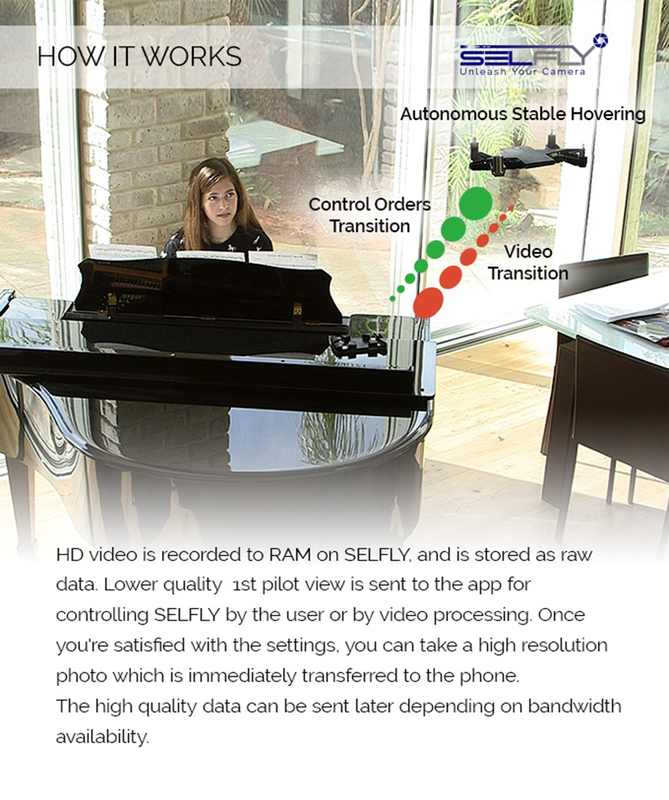 GoPano technology brings a new angle to making videos. 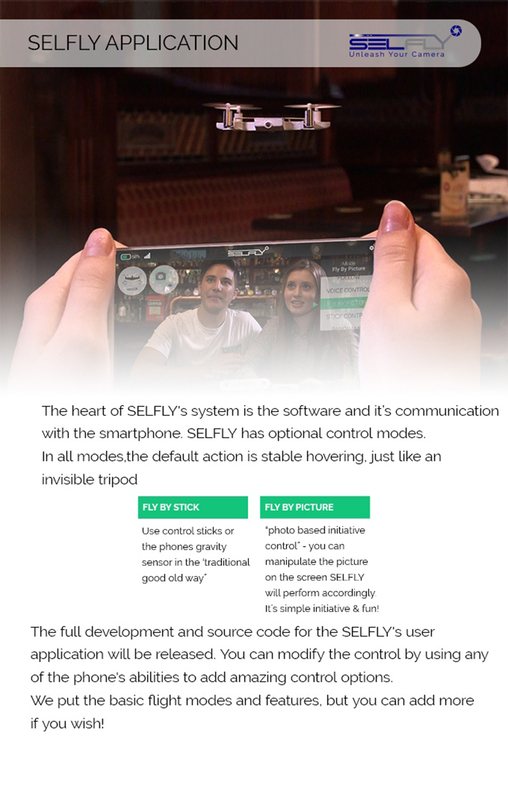 By releasing the video from the unique perspective of a conventional camera, you can interact with the video in a way never before possible. 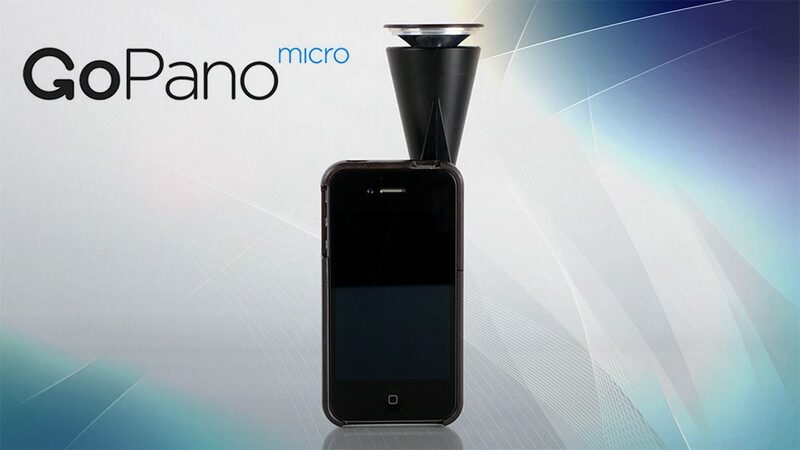 As already mentioned, the GoPano Micro is only compatible with the iPhone 4 at the moment as it is guaranteed that this technology will be expanded to include more smartphones, mobile devices and cameras. As we well know, the progress of technology continues to progress, thanks to the great competition of large electronics companies to obtain the highest level in their environment; that is, for being the best and most welcomed by all of us. To achieve these achievements, they need to create or upgrade new devices that, of course, are functional, useful and safe for all users. This fact is achieved on a large scale annually where large companies demonstrate, announce and present their new devices in a definitive date of celebration in the last months of the year. 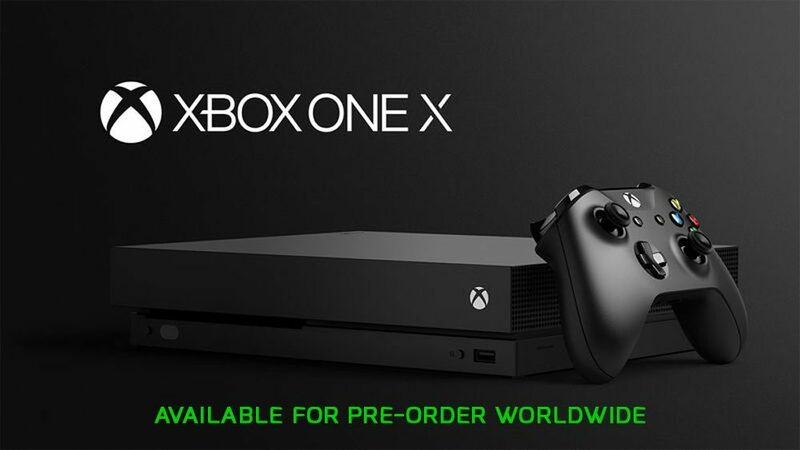 One of these big companies has announced the date of its next big event where it is expected to be revealed its new device along with updates some of its trajectory devices. We are talking about the great American multinational company that designs and produces electronic equipment, software and services online, called Apple Inc. 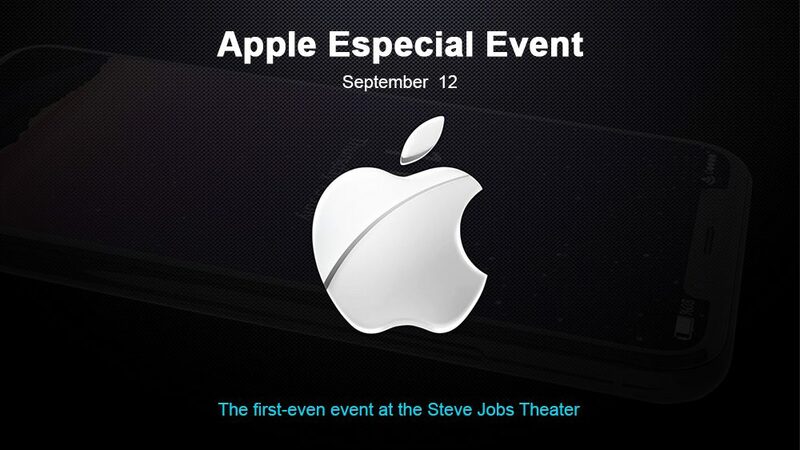 The event will be held on September 12 and an important event of this great presentation is that it is the first event to be held at the Steve Jobs Theater at its new Apple Park campus in Cupertino, California. The invitation to the event does not reveal much. After many rumors of its new devices and updates, Apple is expected to announce three new iPhone at the event: a next-generation iPhone 8 model with an edge-to-edge OLED display and a new 3D face scan camera, reports previous on Bloomberg; and updated versions of the current iPhone 7 and 7 Plus with wireless charging. 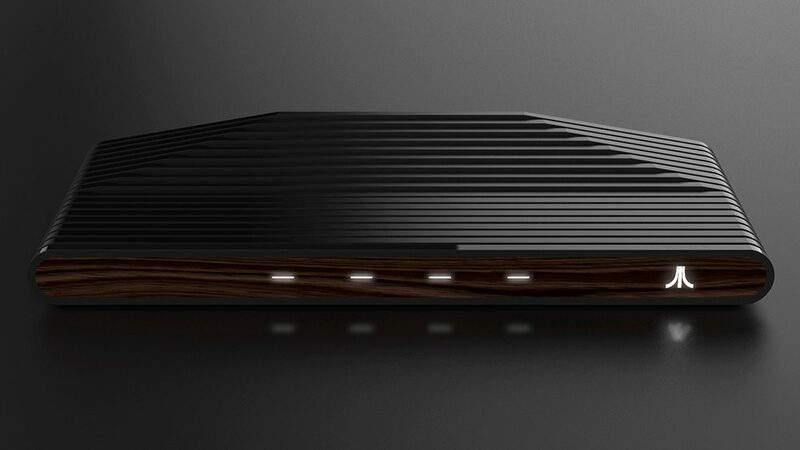 In addition, it is rumored that the company will have a new Apple TV 4K running, along with Apple Watches that could have LTE connectivity. 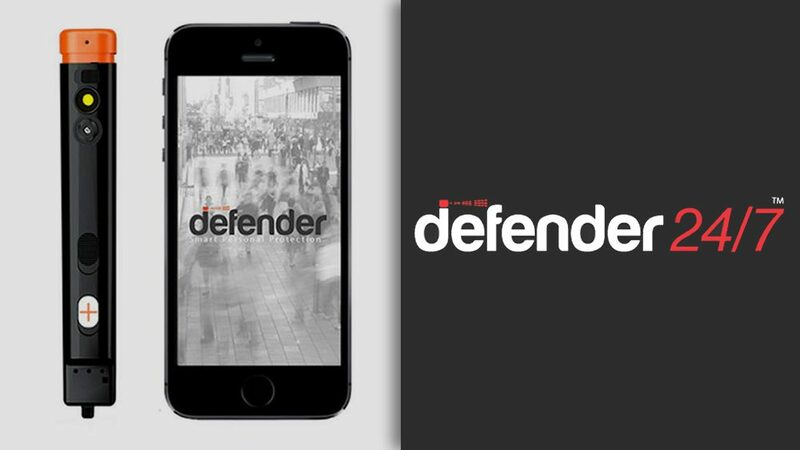 An important fact of the company was held in June this year at its developer conference where Apple first announced iOS 11 and High Sierra software, but is being phased in for application developers. This event was a great help to get information about your new presentations which we will surely find on September 12th.